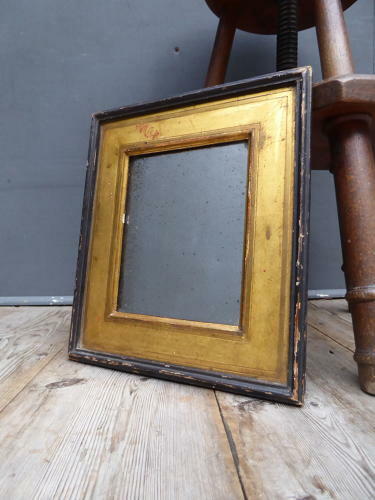 A beautiful small antique gilt wood mirror. A wonderful & very early little mirror with an ebonized & gilded wooden frame boasting a superb depth of colour & retaining it's original mercury plate with a wonderful & even amount of foxing. Good unrestored condition, wear to the finish in places, later ply back.